As many as 12 data files containing detailed information on job applicants were publicly posted today after apparently being accessed from an ITWallStreet database by a hacker belonging to a group called TeamGhostShell. A Computerworld inspection of the published data showed the first and last names, mailing addresses, email addresses, usernames, hashed passwords and phone numbers of what appear to be thousands of people who have applied for IT jobs with Wall Street firms. Many of the thousands of hashed passwords appear to have already been decrypted into their clear text form. The salary expectations of job candidates ranged from $40,000 to more than $400,000 suggesting that ITWallStreet’s breached resume database included everyone from entry-level IT professionals to senior technology executives. In fact, several of the published email exchanges referred to candidates who appeared to have applied for vice-president level positions at Wall Street firms. 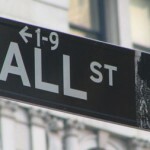 One of the published files contained a detailed listing of what appeared to be hundreds of clients of ITWallStreet.com. The list contains virtually every major Wall Street firm including Morgan Stanley, Goldman Sachs, Nasdaq, Dow Jones, Moody’s and Wachovia Bank. Andiamo Partners, the New York-based recruiting firm that operates the website did not confirm or deny the breach. A spokeswoman said the company would respond later, presumably after verifying the claims. It was not immediately possible to confirm if any of the posted data came from the company’s database or pertained to IT job applicants as claimed by the hacker. In a statement announcing the breach, Masakaki suggested the attack was meant as a show of support for the Occupy Wall Street movement. The hacker claimed to belong to “MidasBank,” a group that is part of TeamGhostShell, according to the statement. According to Andiamo’s website, the firm is the leading technology recruiting firm for the financial services sector. The company helps Wall Street firms find IT staff in areas such as development, infrastructure, database and process management. Jaikumar Vijayan covers data security and privacy issues, financial services security and e-voting for Computerworld. Follow Jaikumar on Twitter at @jaivijayan or subscribe to Jaikumar’s RSS feed. His e-mail address is [email protected]. Read more about security in Computerworld’s Security Topic Center.